First Capital Factors Ltd which went into Administration just over two years ago has just filed a notice at Companies House that the Administration has finished. The Administration has left loads of questions unanswered so I wonder if we have heard the end of the matter. The Statement of Affairs showed a deficit of just over £5.6m which begs the question where did it all go as surely a small supposedly profitable factoring company couldn’t lose that amount of money in it’s normal way of business. It seems that a number of their clients were asked to raise fictitious invoices for what were evidently substantial amounts of money which unless I am missing something is fraudulent on behalf of the person or persons who asked them and those that supplied the fraudulent invoices which to my mind is criminal. This isn’t a victimless crime as whilst people may not have much sympathy for banks in the form of Leumi a loss of close on £2m was made by the 350+ investors from the Thincats syndicate who recovered not a single penny back from this debacle. The investors in Thincats aren’t all multimillionaires but are ordinary people like you or I who looked for a slightly higher return on their savings than on offer from the mainstream banks. I would have thought that after two years and with the Administrators having reported their findings into the conduct of the individuals in the company as well as the clients’ involvement that some murmurs would have been heard about fraud enquiries. Us outsiders won’t know which of their clients were involved but as most of the clients went either to Leumi ABL or elsewhere after the Administrators were appointed I would guess that the tainted ones are those clients that didn’t move at all. I am aware of one of their clients who switched their business out of the company factoring with First Capital Factors to a previously dormant and fresh company at about the time of the Administration and wonder if they are one of the companies involved as I understand that the principals of the company were long standing friends of the chairman of the factoring company. In the late seventies there was a similar situation at Bank of America’s factoring subsidiary where a group of their clients submitted fraudulent invoices at the behest of the factoring company’s directors and that ended up with three and four year jail sentences for the two executive directors of the factor who organized the fraud plus two directors of the clients who issued the invoices. Somehow I don’t think that we have heard the last of this. As most factoring insiders will know First Capital Factors Ltd collapsed into Administration two years ago and whilst plenty of rumours were doing the rounds at the time nothing concrete ever appeared until last week. First Capital Factors Ltd was a small factoring company run by the high profile David Marsden and was funded by means of a back to back arrangement with Leumi ABL Ltd plus loans from Thincats. Although one has a certain amount of sympathy for Leumi ABL for being defrauded they should possibly have spotted the signs earlier but my sympathies lie with the individuals in the Thincats syndicate who won’t see any of their collective millions back. These weren’t all high net worth individuals who could afford to lose money but people like you and I looking for a slightly higher return on their savings than the miserly rates offered by the banks. There must be more to come from this debacle as there was collusion from various clients who have also committed fraud and surely the staff at First Capital Factors must have had verification procedures in place for what I guess must have been substantial invoices. In addition every factoring company that I have worked at have had monthly board and/or management meetings which have included detailed discussions on the client portfolio so I guess that this story has not reached it’s conclusion yet and there must be more people who jump every time the front door bell rings. I have received a letter from Simplicity’s solicitors threatening legal action for defamation as they claim that I have made untrue statements about them on my blog. They claim that concentration limits are common with factoring companies and cite an article by a factoring broker which was designed to paint a worst possible picture in the hope that readers would contact them to find them a suitable factoring company with further examples being provided from another factoring broker’s website which was published for the same reason. They further claim that facility limits are finite limits as per a paper produced by ABFA without pointing out that they are like credit card limits and subject to renegotiation as and when necessary. Simplicity are payroll funders providing back office facilities to recruitment companies in conjunction with working capital funding. That they should be trying to compare themselves to standard factoring companies is like trying to compare apples and pears as the products are similar but also different. What Simplicity fail to mention is that there are several factoring companies that offer a back office facility and that it is these factoring companies offering a similar product to them that in general do not suffer from the disadvantages mentioned by Simplicity. Removal of the Article from the Website. Publication of a suitable apology in a prominent position on the Website for a period of at least 14 days, and thereafter archived indefinitely so that it remains searchable. I have removed the original post from the blog and I do apologize for not making it more obvious that I was referring to factoring companies offering a recruitment finance package in competition with Simplicity’s own product and not factoring companies in general. Early last year I wrote a blog post condemning Lloyds Bank Commercial Finance for their offer to factoring brokers to pay them 40% of their factoring commission income for the life of the facility. Judging by their recent press release it appears that my fears were justified as it seems that so many greed driven factoring brokers drove their client base towards Lloyds that they have now set up a dedicated broker team to cope with the influx of business. Lloyds claim that since they introduced their new commission structure the number of broker deals has more than doubled which bears out my concerns as the product hasn’t changed which leaves the broker’s commission income as the driver. 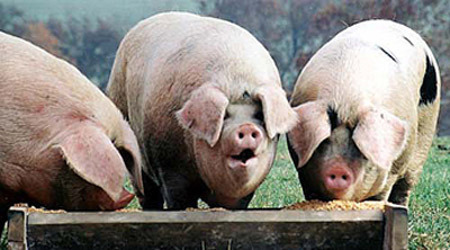 Surely anyone apart from the pigs with their snouts in the trough will see that this is wrong as a broker is supposed to add value and if these people are just introducing business to Lloyds Bank Commercial Finance so that they can grab a bigger slice of the pie for themselves then that is morally wrong. It isn’t just new factoring clients that are likely to be directed towards the brokers’ money tree that is Lloyds Bank Commercial Finance but existing clients whose current factoring arrangements are up for renewal will also be targeted and persuaded to switch as that will be even more lucrative for the broker than a new client in many cases. I’ll end this short blog post by re-iterating the post title and if any prospective customer finds that their broker is trying to introduce them to Lloyds Bank Commercial Finance think hard about whether that is because it is the best fit for your business or else it’s because 40% of whatever Lloyds make will be returned to your broker as commission.